⬅ Free Regular Relationship Tips For You! Many times what couples fear is that if they bring up the issue, it will hurt or ruin their marriage. A spouse is afraid that if she brings up her lack of sexual satisfaction her spouse is call her names and think bad of her. Another spouse is afraid that if he brings up the issue of their finances, she will see him as incapable of providing for his family. Yet another spouse is afraid to say anything about how the other is parenting because last time they said something, it ended in weeks of stonewalling and criticism. We’ve shared this story about how lions hunt gazelles in over a hundred couples weekends and I hope you do not mind us sharing it here again. I’m told that gazelles are graceful and fast. As pack animals, they stay together in the heard and eat in meadows where they can keep track of any potential threats. Their speed and agility is admired and respected by their nemesis, the lions. Lions know that they are not as agile and fast. 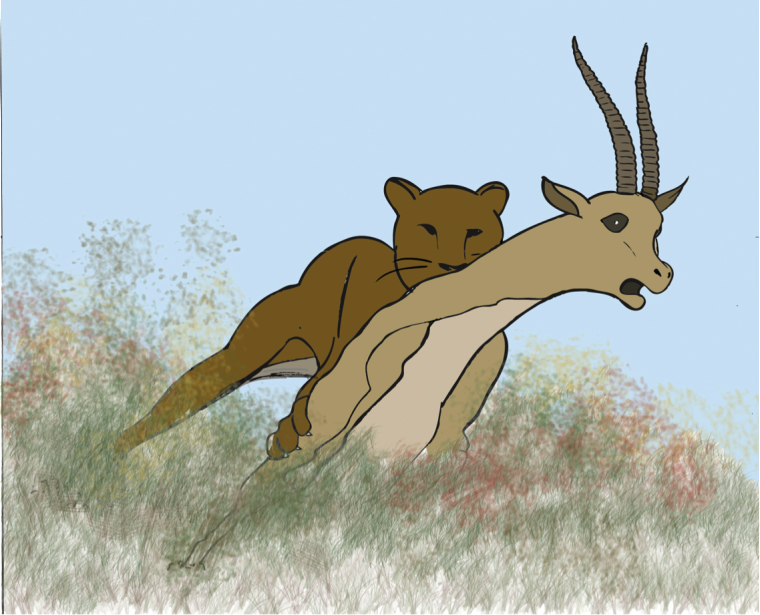 As pack animals, they usually hunt with all the females of the pride. The older female lions lie in the tall grass in the vicinity of the herd of gazelles. The younger, faster female lions work their way around to the other side of the herd. When the signal is given, the younger lions take off toward the gazelle herd with the intention of separating out a few from the rest of the herd. As they get separated from the herd, the smaller number of gazelles are pushed by the younger lions toward the tall grass. As they enter the tall grass, the older female lions simultaneously let out their loudest roar. Fearing the sound of the old female lion’s roars, the gazelle jump back away from the tall grass into the waiting jaws of the younger female lions. Unfortunately, most distressed marriages are like the gazelles. They do not have the hard conversations because the thing they fear the most- the destruction of their marriage, might happen. In not having the crucial conversation, the very thing they fear is actually happening. Not having the crucial conversation begins to destroy the person holding back and gets in the way of moving toward each other. Instead of letting fear win, we need to move forward with courage to have the crucial conversation we most dread. We often ask couples, “Is your marriage worth having a crucial conversation?” By not have the conversation, they may actual end up hurting and ending the marriage. Check out next week’s blog for the beginning of a 3 part series on how to have the marriage saving conversation you are afraid to have.